There are countless efforts and initiatives in place to remind us about reducing our environmental impact. Think Earth Day (April 22), Meatless Monday, World Environment Day (June 5) – the list goes on. But apart from an occasional day each year, what can we do to reduce our impact and make sustainable lifestyle choices on a daily basis? The environmental impact of eating meat and animal-based foods is well known. According to the World Resources Institute, when it comes to resource use and environmental impacts, the type of food eaten matters as much, if not more, than how that food is produced. So this doesn’t necessarily mean we have to become vegan or vegetarian but eat more sustainably by buying low environmental impact foods (many of which however are plant based). Beef, lamb and goat are the highest producers of emissions for example, while fish, corn, beans and legumes are the lowest. – when eating out, under order or order as you go to avoid food waste. – incorporate more plant based foods in your diet. Try initiatives like Meatless Monday then see how you go incorporating other meat free days from there (here are some great meatless recipes to start with). Cooking puts you in control of the food you buy and eat, and helps you manage food waste. Use as much of your produce as you can (think nose to tail). Keep food waste to a minimum. I keep a lidded jar in the fridge that I top up with spring onion ends, coriander roots, carrot heads, meat bones, etc which I then use to make broths or flavour other dishes. Cooking for yourself also means you can dispose of ingredients more thoughtfully by composting or reusing them. For example coffee grinds, you can keep these aside to make a marinade, or to use as a coffee body scrub. You can also cook enough for left overs the next day or freeze meals to eat at a later date. Get into the habit of bringing your own, and I don’t just mean wine at your next dinner out. Think about how you can use your own items to replace bought packaging. An estimated 1 billion coffee cups are produced in Australia each year, and simply placing them in a recycling bin unfortunately won’t guarantee that they’ll be recycled. 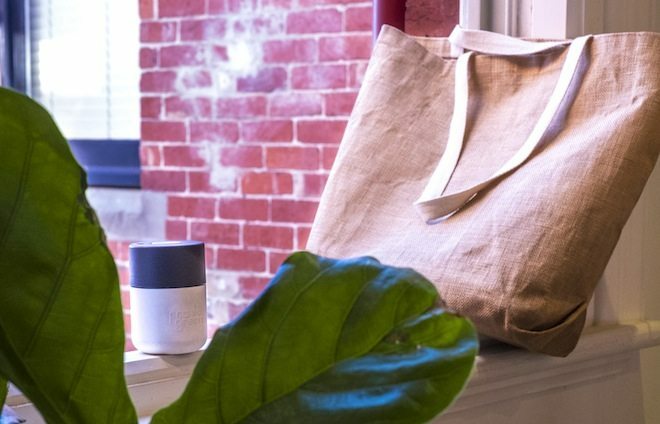 In a recent article in BeanScene, a joint initiative between City of Sydney, the Queensland Government, Australian Packaging Covenant, and Closed Loop Environmental Solutions conducted a trial to combat the impact of Australia’s coffee cups on landfill. Reported in the article were several findings from the trial and highlighted misconceptions about coffee cup recycling. For example, despite their paper exterior, paper cups are lined with plastic and take about 50 years to break down in landfill. Even if you’re take away cups are biodegradable, they need a specific environment to break down in, and Australia currently doesn’t have an adequate sorting facility to reprocess take away coffee cups properly. So if you’re a coffee drinker, invest in a reusable coffee cup (like Frank Green, Joco or KeepCup) or bring a coffee press to your office and make your own there. Some cafe’s even offer a discount on refilling coffee beans if you buy your own – like Padre Coffee or Patricia Coffee Brewers. When going shopping, say no to bags and bring your own instead (boxes and baskets are great too). If you can, consider bulk shopping and bringing your own jars and containers to re-fill your ingredients with. 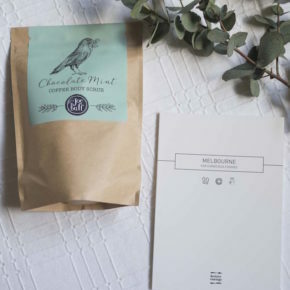 Melbourne stores like Source Bulk Foods and The Staple Store are BYO packaging friendly. Also, remember to bring your own water bottle, being able to drink directly from the tap is a luxury, and the world does not need more plastic water bottles! Are there disposable products that re-occur on your shopping list? Common culprits are paper towels, bin liners, dishwashing liquid and anything in a plastic bottle. Are there alternatives to these products (think tea towels, DIY paper bin liners, etc)? Could you buy the same product in reusable packaging like glass or could you make the product yourself? Interested in zero waste living? Check out Trash is for Tossers and The Rogue Ginger for some inspiration. Conduct an audit of the products you use in the home – are they environmentally friendly, is the packaging biodegradable or can they be reused? There are some fantastic alternatives to almost all the products you use. Nourished Life is a great online store to start with. They cover natural beauty, natural cleaning products and even pet supplies. If you want to cut down costs, consider ‘cleaner’ cleaning products in the home like lemon, vinegar, and bi-carbonate soda in place of harsher chemicals.